I’ve seen this image popping up both on Twitter and Linkedin and it’s perfect to use in my classes with an easy question: what’s wrong with this picture? 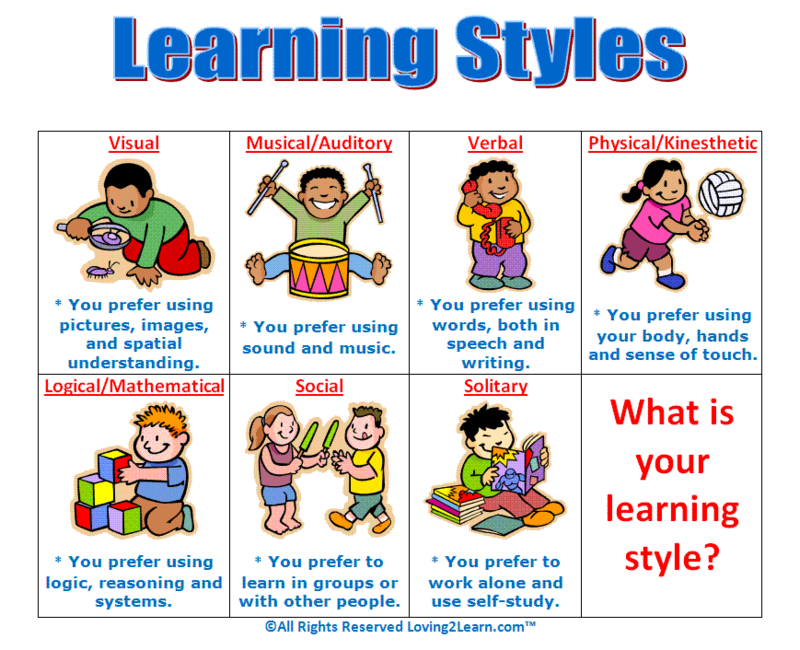 For the people who responded: “easy, it’s all about learning styles and they don’t exist.” You’re correct! Do read the many posts on this blog to support learning styles to be a myth. But there is more! The 7 learning styles mentioned in the picture are not very dissimilar to Multiple Intelligences from Howard Gardner, while there is much to say about this theory too, Gardner himself say his theory is definitely not about learning styles. Oh, if you want to learn more about these kinds of myths in stead of posting this wrong picture, just read our book!